University College London (UCL) are advertising for a Project Coordinator to join the Centre for Co-production in Health Research team. They are looking for someone interested in co-production, co-creation and health research who is keen to learn more. The role can be part time or full time and will be for 4 months initially with a hope to make the role longer term. The deadline for applications is 11pm on Wednesday 1 May. Have a look at the job description here. To find out more about this role and how to apply have a read of their latest blog. You do not need experience of having worked in a university to apply. 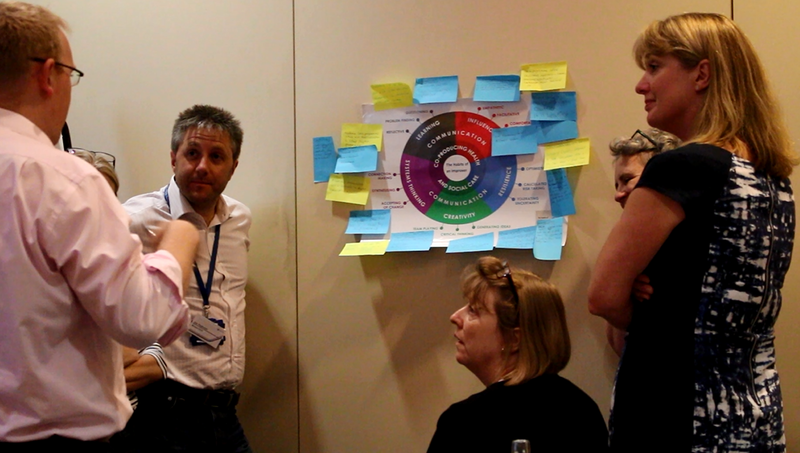 On 13 March 2019, Andy Gibson, Associate Professor Patient and Public Involvement, and Michele Kok, Research Associate in Public Health at the University of the West of England, together with two colleagues from North Bristol NHS Trust, conducted an open patient and public involvement (PPI) workshop at the annual Combatting Antibiotic Resistance in Europe (COMBACTE), General Assembly held in Bucharest, Romania. COMBACTE is a multi-million pound, European-wide, public-private partnership designed to stimulate the development of new antimicrobial drugs. This workshop was to promote and support the use of a toolkit and practical guide for involving patients and the public in antimicrobial medicines development research, which the team produced in collaboration with the PPI Panel for Antimicrobial Drugs as part of COMBACTE-MAGNET’s Work Package 6i. 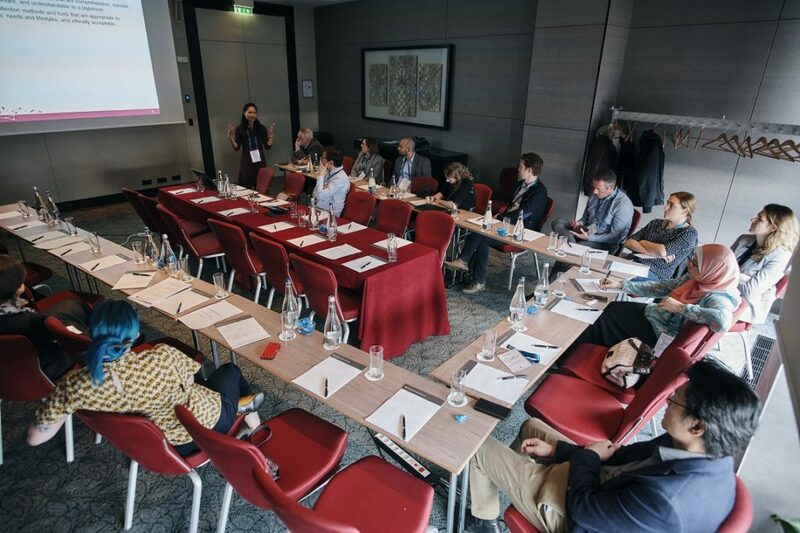 The hour-long workshop was attended by 12 participants from a range of organisations and job roles, including principal investigators from industry and academia, and the Chair of the European Forum for Good Clinical Practice. The workshop focused on PPI in two specific stages of the antimicrobial medicines development lifecycle; research agenda-setting; and clinical trials. These were identified by participants ahead of the workshop as being topics most important and relevant to their own research. The excellent attendance and engagement at the workshop were indicative of an increased awareness and interest in PPI within the COMBACTE consortium, and across Europe more generally. This was highly encouraging to the team and set the tone for Andy’s talk on PPI at the COMBACTE-MAGNET General Assembly the next morning. 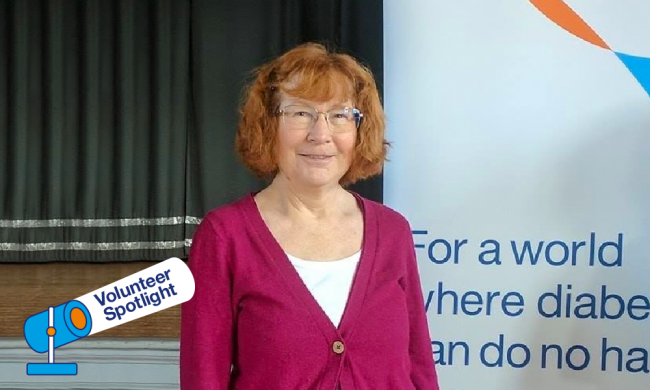 Sandra Tweddell, Co-chair of the People in Health West of England (PHWE) operational group, has been put under the spotlight for her extensive volunteer work for Diabetes UK. 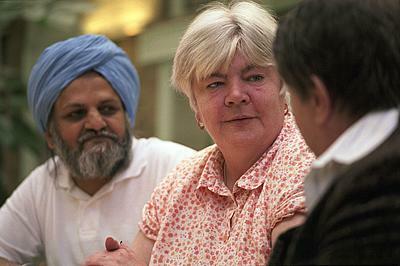 Sandra has been volunteering with Diabetes UK since November 2010. Having lived with Type 1 diabetes since 1961 she is very conscious of varying levels of diabetes care across the country. As a result, she wanted to work to ensure that people with diabetes receive the best possible care to enable them to understand and manage their condition. Moving to Bristol, she found no local support groups so was instrumental in developing the structure of the Bristol Diabetes Support Network, which included a Strategy group involving members of Bristol Clinical Commissioning Group and Bristol Community Health. This provided a forum for two-way communication of people’s experiences of diabetes care and developments in diabetes care. 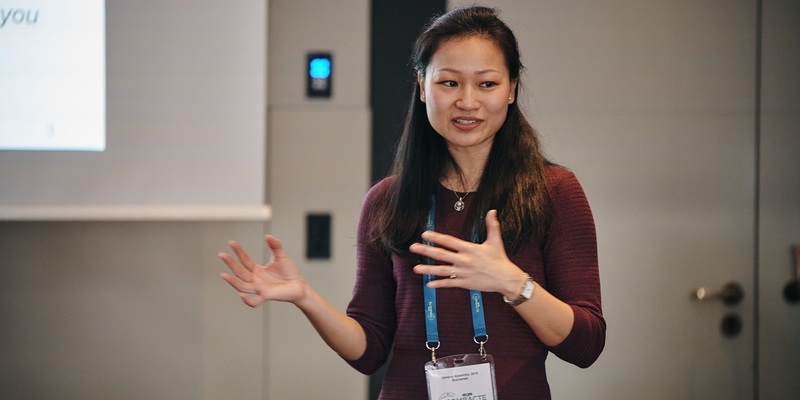 We, too, have benefited from her tireless contributions, as Sandra has been a member of the PHWE Operational Group since 2016, and become the public contributor Co-Chair in November 2018. Click here to read her full story on the Diabetes UK website. Urinary tract infection (UTI) is a common and unpleasant problem affecting thousands of people. GPs and others in primary care often diagnose patients based on symptoms, as the current urine testing methods to look for bacteria and inflammation can be slow and unreliable. As a result, antibiotics are often prescribed before there is a confirmed diagnosis of UTI. This prescription of antibiotics can be harmful to the patient if there is no infection and also impacts the wider community due to increasing risk of antibiotic resistance. Training and education for the final product. North Bristol NHS Trust would like to invite GP’s, Practice Nurses, practice receptionists, pharmacists and any member of primary care with experience of dealing with UTI’s in primary care to attend as many workshops as you are able to. During the workshop, you will be asked to provide your views and opinions and some of your experiences. 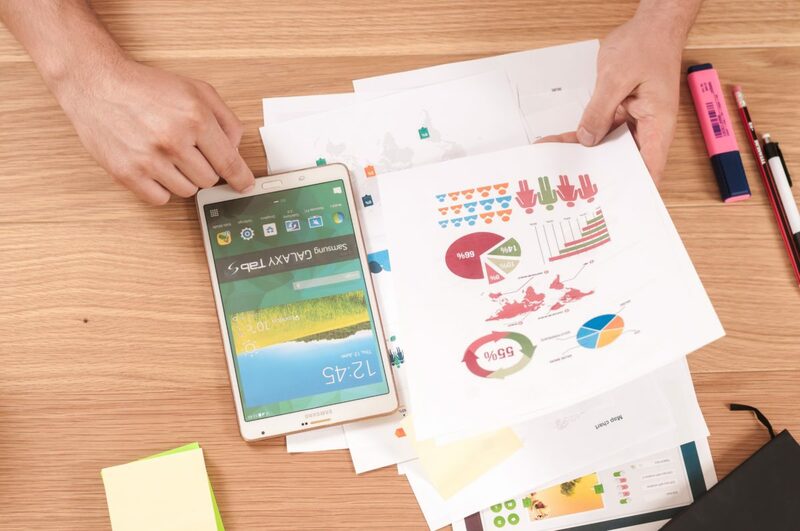 An international group of stakeholders with a range of expertise in public involvement and engagement (PI&E) relating to data-intensive health research have released a consensus statement in the International Journal of Population Data Science. It sets out eight key principles to establish a secure role for PI&E in and with the research community internationally and ensure best practice in its execution. Their key premise is that the public should not be characterised as a problem to be overcome but a key part of the solution to establish socially beneficial data-intensive health research for all. 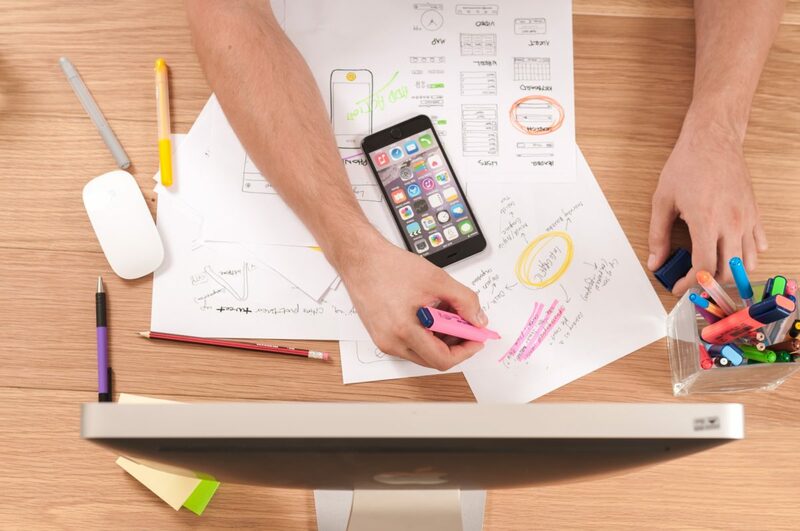 The West of England AHSN is inviting organisations from the voluntary, community and social enterprise (VCSE) sector to submit proposals for funding between £500 and £10,000 to strengthen links with public contributors and encourage innovation using hyvr– the online social media platform for healthcare. 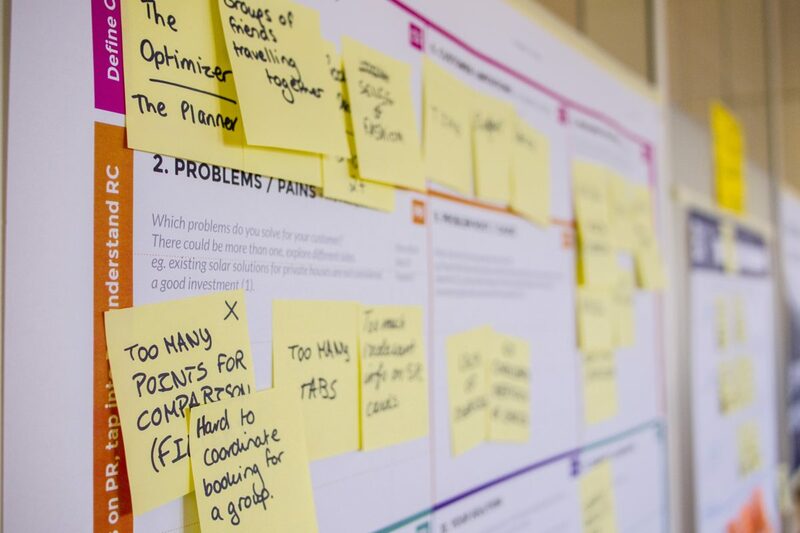 hyvr has been developed by the West of England AHSN as a platform where users can discuss innovations and health related issues with like-minded people in groups called ‘hives’. Ongoing dialogue on hyvr between the public and other collaborators will seek to accelerate the development of new and relevant healthcare initiatives including products, gadgets and new ways of working, as well as a forum for any health or care topic discussion. Benefit the applying organisation(s) in supporting a strategic aim(s). Provide sufficient numbers of users on the hyvr platform to determine its efficacy as a networking tool. Strengthen links with public contributors putting them at the heart of the innovation process. 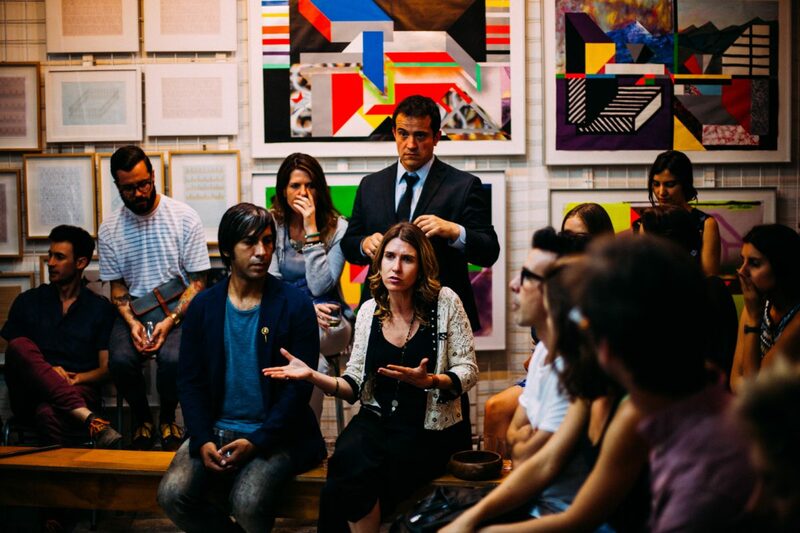 Support innovators to engage directly with public contributors. Applications are open until 5pm on 21st February 2019. Full details including application guidance and schedule are available to download here. Welcome to Jo Welsman and Helen Burchmore, two recent appointments to the South West Research Design Service (RDS). Jo is based in the Bristol office and Helen in Exeter, and they cover the entire South West RDS region. Both Helen and Jo bring extensive PPI experience to their new roles having worked across many different organisations and with very diverse patient and public groups. They have led and supported PPI in research covering primary care to basic biosciences and everything in between. They can provide advice on where and how to involve patients, help you identify patient and public networks and groups to collaborate with, and access funding to enable collaborative PPI activities at the prefunding stage. 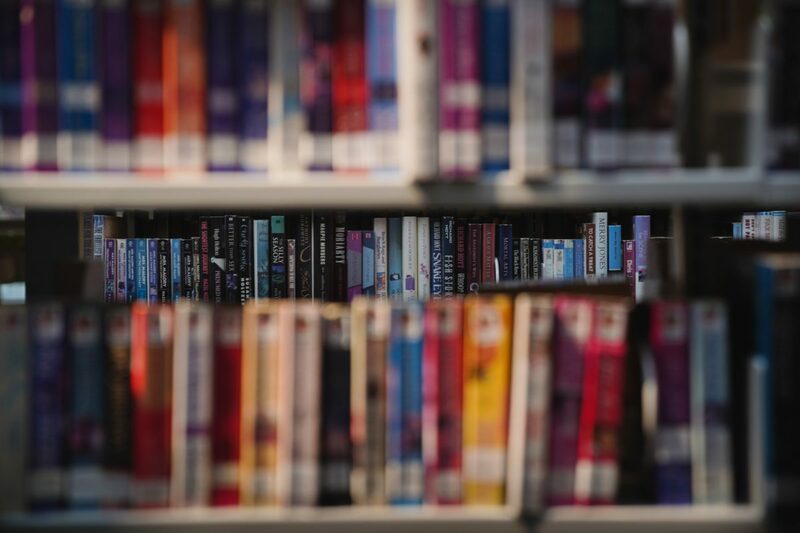 The National Institute for Health Research (NIHR) Journals Library has adopted a new set of guidelines providing researchers with support and advice to improve reporting of patient and public involvement in trials. The Guidance for Reporting Involvement of Patients and the Public (GRIPP2) checklist is an evidence-based, robust and practical guide to support and encourage better reporting of how the public has been involved in studies. 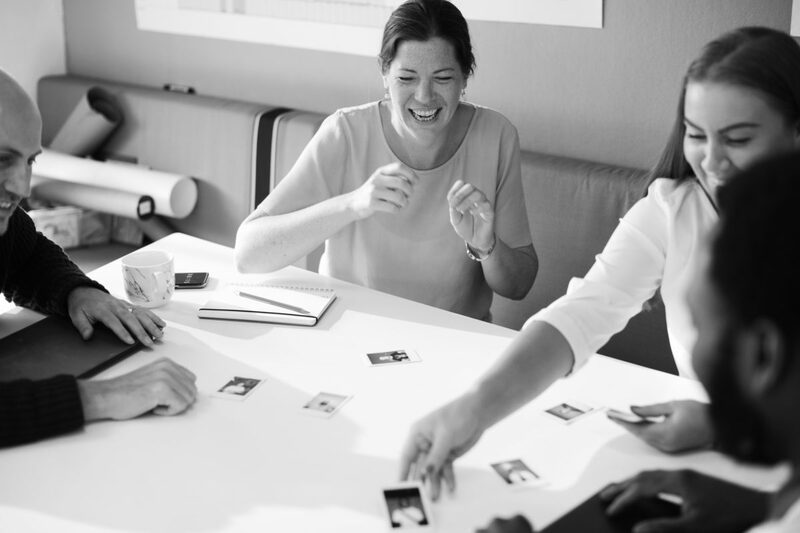 The National Institute for Health Research (NIHR) Southampton Biomedical Research Centre and Wessex Public Involvement Network are offering a funded PhD studentship opportunity to explore the impact of public involvement and engagement (PPI/E) on health research. Apply by 9 September 2018. The British Medical Journal (BMJ) reports on the impact of their policy to require authors to report if and how they involved patients and the public. ‘International Perspectives on Evaluation of PPI in Research’ Abstract call now open! Abstract call now open for ‘International Perspectives on Evaluation of PPI in Research’, a conference will provide an international platform to critically explore and reflect on the issue of evaluation of patient and public involvement in research. The conference will be held in Newcastle upon Tyne on Thursday 15th and Friday 16th November, 2018. We are now accepting abstracts for oral, poster and workshop presentations for this conference. 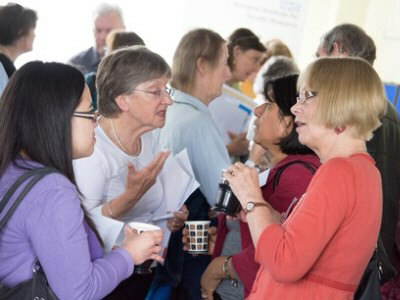 The conference provides an exciting opportunity for shared learning and for showcasing your patient and public involvement (PPI) in research to an international audience. Rather than pre-set themes we will shape the thematic structure of our parallel sessions and poster presentations around the topics covered within submitted abstracts. Submissions are therefore invited that reflect a range of PPI experience, academic and philosophical interests, and diversity in the practice and evaluation of PPI in research. Abstracts are invited from both the ‘professional’ and PPI communities. Abstracts led by professionals should ideally include PPI co-authors. Find out more about our abstract call here. Submit your abstract by email here. The conference website is now live with further information about the 2-day programme, our fantastic line up of speakers, the conference venue and registration. A small number of bursaries will be available to support attendance of PPI delegates, details will be provided when registration opens in July. This conference is jointly chaired and delivered by PPI contributors. Applications are now open for proposals of ideas that suggest novel ways to approach PPI in research. Ideas must be new and untested. We are particularly interested in ideas that demonstrate ‘out-of-the-box’ thinking. 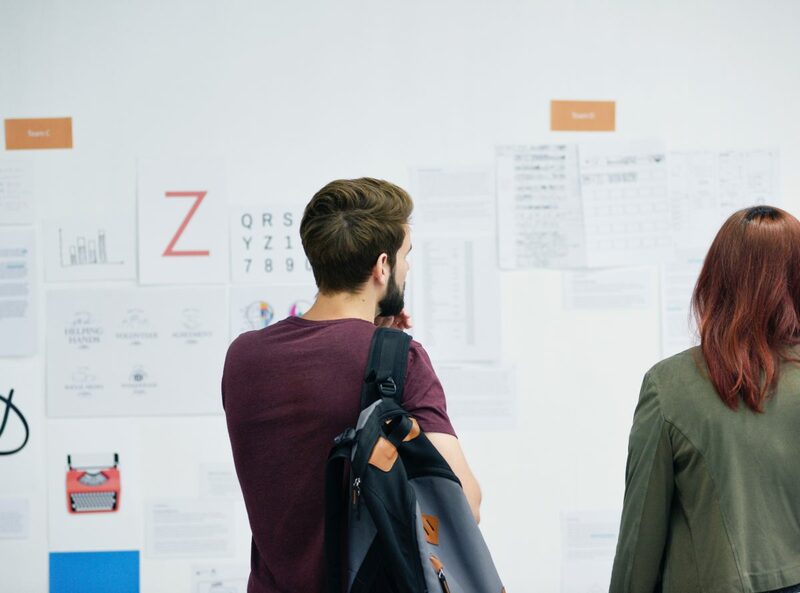 This includes ideas that may be ‘off the wall’, ‘blue sky’, or even not fully formed – as these may be a catalyst for more interactive and innovative thinking and discussion. If your proposal is accepted you will be offered a 5 minute slot on our ‘Innovation in PPI Soapbox’ to talk about your idea. Please note: these presentations will NOT include slides or a poster – just the presenter and their notes (if required). Ideas might address current practice, for example training; current issues, like diversity; or barriers to involvement, such as remuneration. 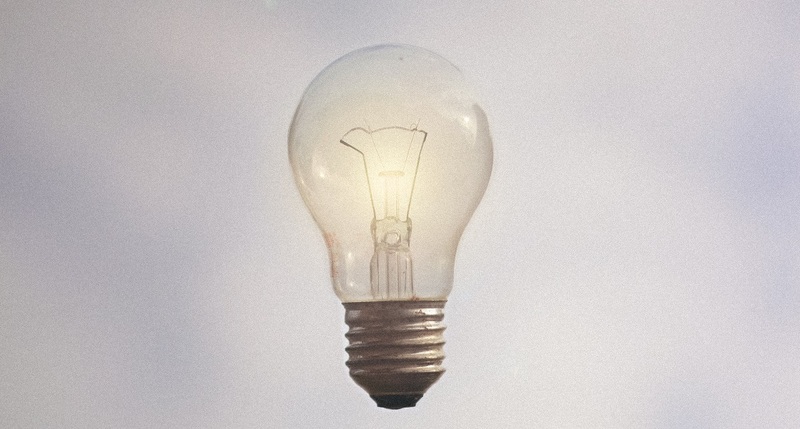 They key criteria are that your idea will be novel and innovative! The word limit for idea summaries is 300 words, excluding the idea title and the presenter’s details. You will find the Soapbox submission template here. Send your completed Soapbox form to evalppi.conf@ncl.ac.uk by Tuesday 31st July 2018. Lead authors on submitted contributions will be notified about reviewer decisions by mid-August. 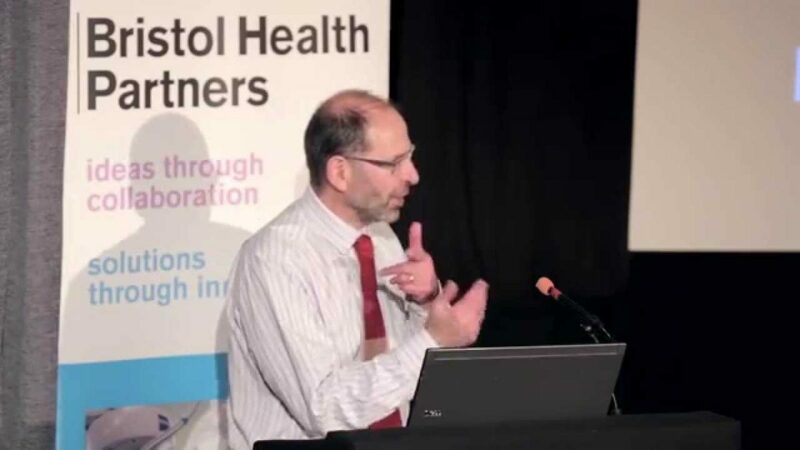 The Bristol Health Partners Annual Review highlights the milestones and achievements of their strategic partnership, which works to improve the health of people living in Bristol, North Somerset and South Gloucestershire, and the services on which they rely. Martin Gregg, one of two public contributors on the Bristol Health Partners Executive Group, reflects on patient involvement in the partnership. CLAHRC East of England has published guidance on the importance of giving feedback in Patient & Public Involvement. 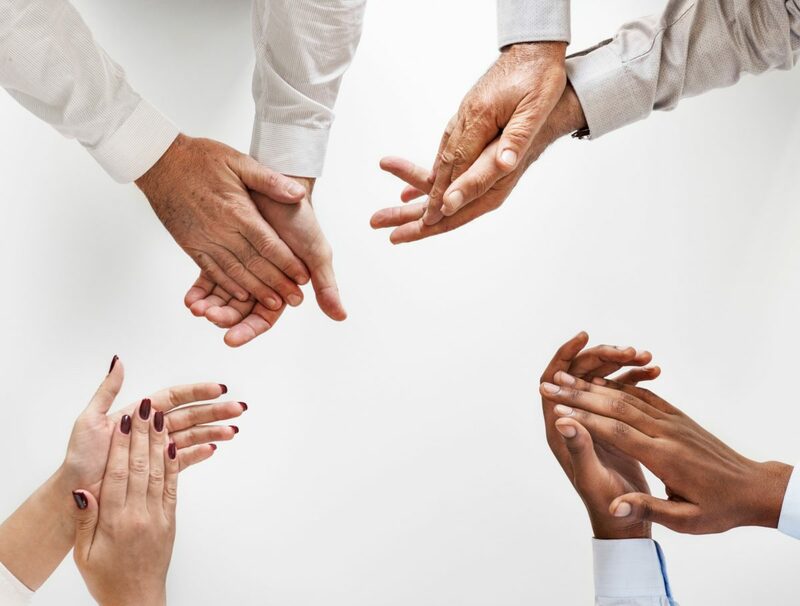 Health Expectations has published a paper by Dr Elspeth Mathie and colleagues, who conclude that researchers do not routinely give feedback to Patient & Public Involvement (PPI)contributors. The role and potential of patient and public involvement (PPI) in a digital age is the subject of a new guide published by the AHSN Network. 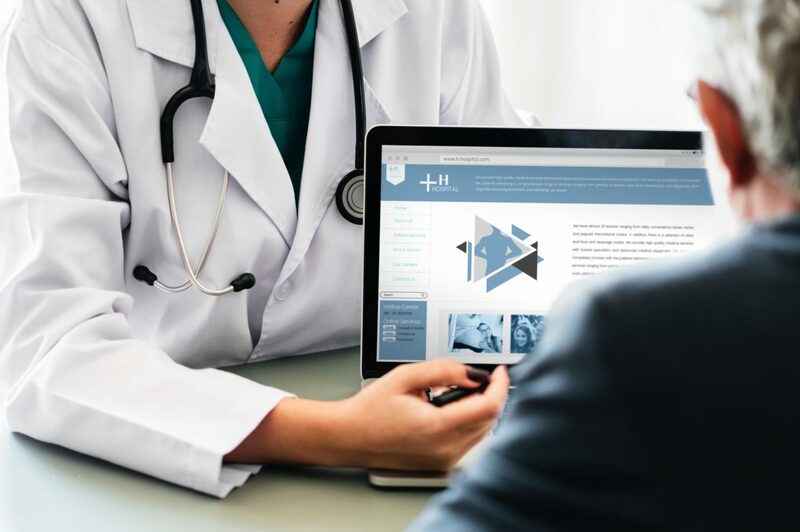 Written by Hildegard Dumper, PPI Manager at the West of England AHSN, the guide explores the different ways AHSNs around the country are involving members of the public in healthcare innovation and the development of new technologies. National Institute for Health Research (NIHR) presentations and discussion from the workshop held in London, 29 November 2017. Every year, over 100 National Institute for Health Research (NIHR) funded Centres, Facilities, Units, Schools and others provide an annual progress report to the NIHR. These reports are a source of valuable information that allows the NIHR to review performance, enable decision making on future funding requirements, answer Parliamentary Questions, prepare briefings for Ministers, and respond to other requests for information. 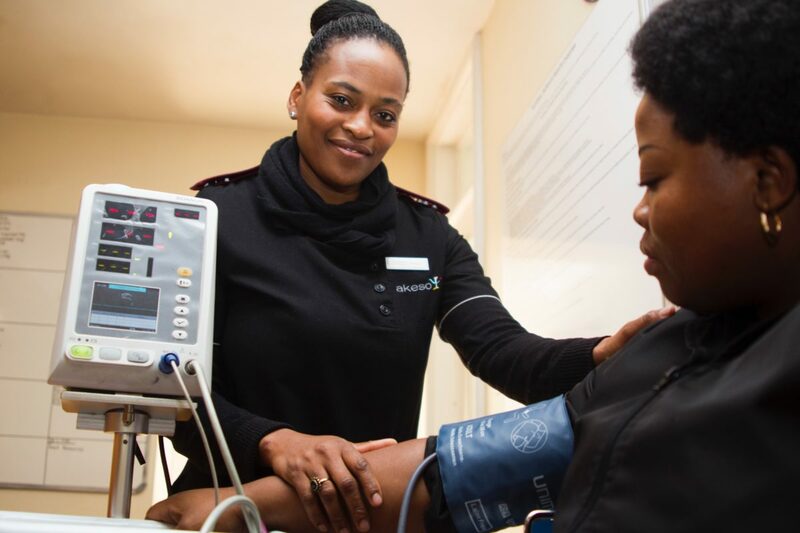 There is a patient and public involvement and engagement (PPIE) section in annual reports that asks for a brief summary of progress to date in implementing PPIE strategies. Over the last three years, NIHR have extracted and compiled the PPIE sections of annual reports and made them publicly available. The main aim in doing this is to support and promote the sharing of knowledge, learning and good practice across the NIHR and beyond. NICE have announced the launch of the bursary scheme for the 2018 NICE Annual Conference which is taking place at the Hilton Hotel, Deansgate, Manchester. 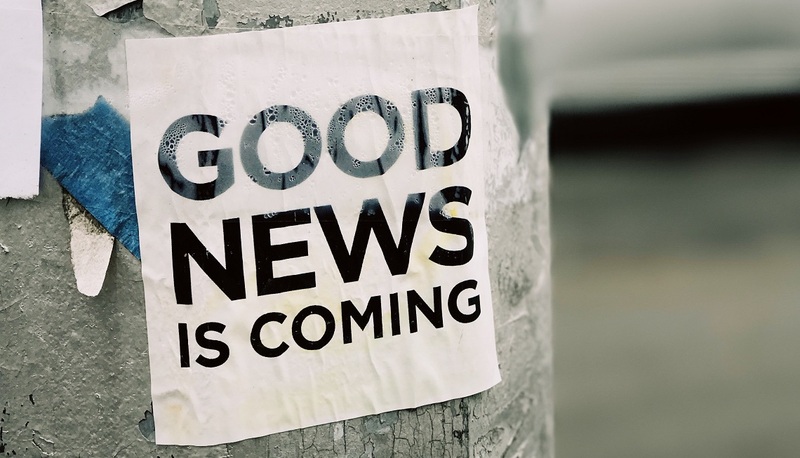 From streamed sessions focusing on the detail of new NICE guidelines, to plenary debates on person-centred care and evidence-based practice, the conversation will no doubt return time and again to the key questions: What does excellent care look like? And how much does it cost? View the 2018 NICE Annual Conference agenda for full programme of events. The bursary offer: This year’s bursary package consists of a full day delegate pass to the conference worth £149 plus VAT. The bursary scheme is open to national patient, carer, service user and voluntary organisations, local and regional Healthwatches, and can be applied for by completing and returning an application form. Bursary packages are limited and interest is expected to be high so don’t delay in returning your application. Further details of the bursary scheme and the application form are also available on NICE website bursary page. The closing date for submitted applications is 5pm, Friday 26 January 2018. Applications will be considered for eligibility by the NICE Public Involvement Programme. Applications which meet the eligibility criteria will be selected for a bursary at random. 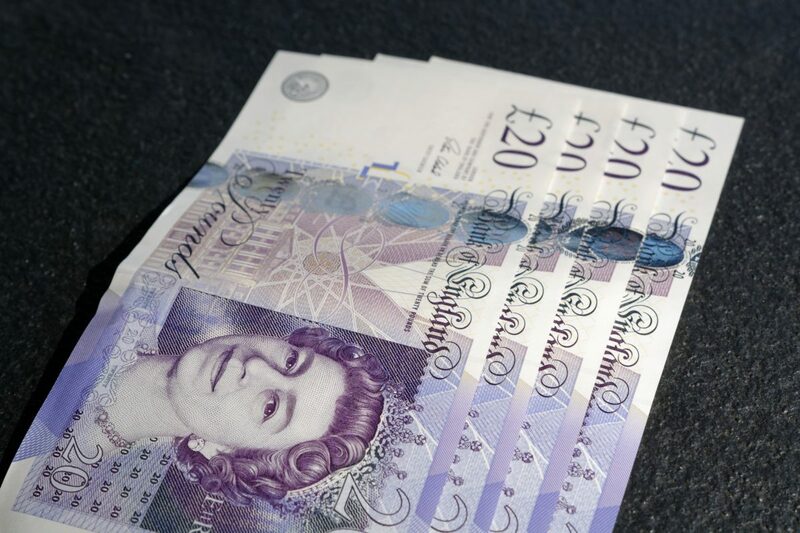 Because of the limited number of bursary packages available, priority may be given to those organisations who have not previously received a NICE conference bursary. Successful applicants will be notified as soon as possible following the closing date. Unsuccessful applicants will be entitled to book delegate passes at a discounted rate. How to apply: Once you have read the terms and conditions, complete and return your application form electronically to bursary2018@nice.org.uk or by post to NICE 2018 – Conference Bursary Scheme, c/o Mrs Sally Taylor, Public Involvement Programme, NICE, Level 1, City Tower, Piccadilly Plaza, Manchester, M1 4BT. Please note that applications received after 5pm, Friday 26 January 2018 will NOT be considered. New publication: Does funded research reflect the priorities of people living with type 1 diabetes? 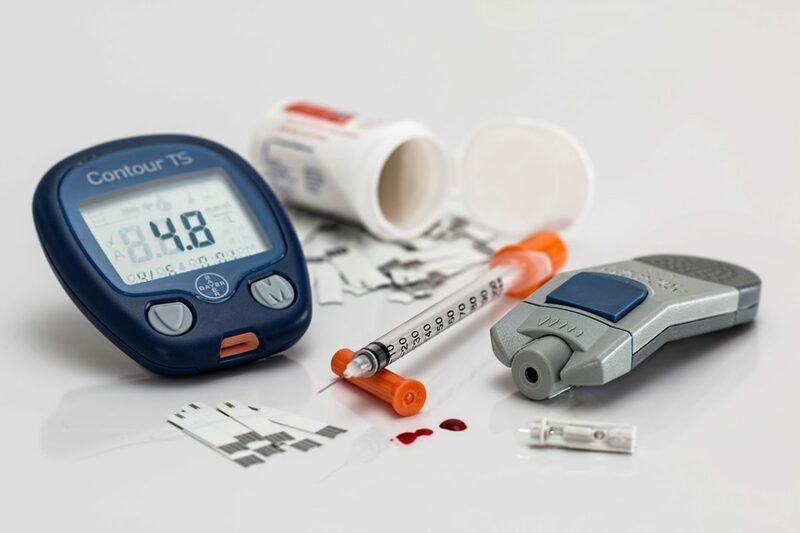 Andy Gibson, Associate Professor in patient and public involvement at the University of the West of England is a co-author on a new publication: ‘Does funded research reflect the priorities of people living with type 1 diabetes? A secondary analysis of research questions’ (Authors Kate Boddy, Katherine Cowan, Andy Gibson, Nicky Britten). This study explored the divergence and convergence between funded research about type 1 diabetes and the research agenda of people living with the condition and their carers. The National Institute for Health Research (NIHR) Clinical Research Network (CRN) West of England has recently published findings of the 2016-17 Patient Research Experience Survey. The National Institute for Health Research (NIHR) Central Commissioning Facility (CCF) has recently published several documents relating to their patient and public involvement and engagement (PPIE). The James Lind Alliance has published a report on evaluating the extent and impact of young people’s involvement in National Institute for Health Research (NIHR) studies. You can read patient stories and find out more about how to get involved yourself by downloading the Take Part Be Involved in Research magazine. 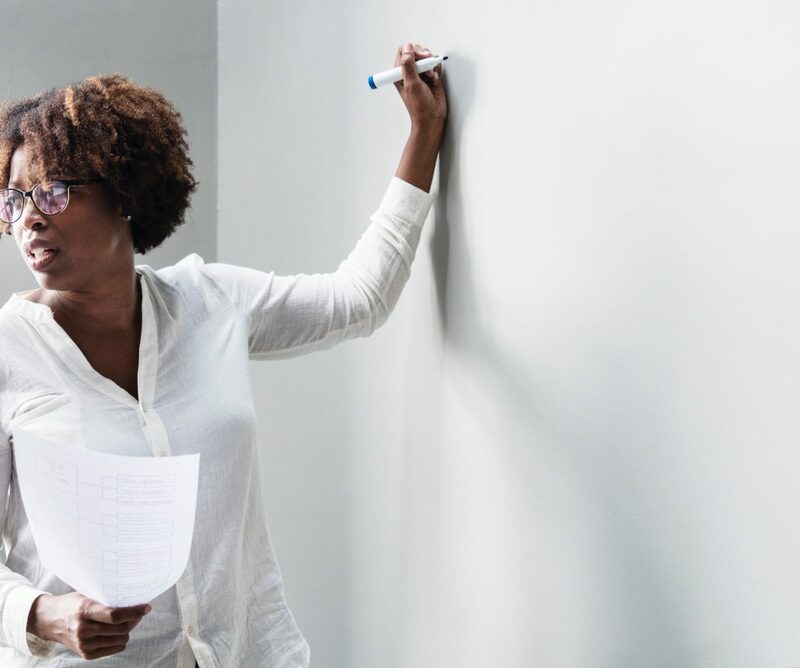 The Elizabeth Blackwell Institute has introduced a scheme to encourage healthcare practitioners, patients, the public and University of Bristol researchers to work together to develop innovative thinking around clinical problems. Closing date to submit a challenge is 24th May 2017. INVOLVE reports members of the public have worked alongside Cardiff University staff to produce two short films that highlight the benefit of public involvement in research. One film, ‘Why get involved in Research?’ is aimed at members of the public and the second, ‘Public Involvement in Research’ is aimed at researchers. Watch the films below or click here to find out more. 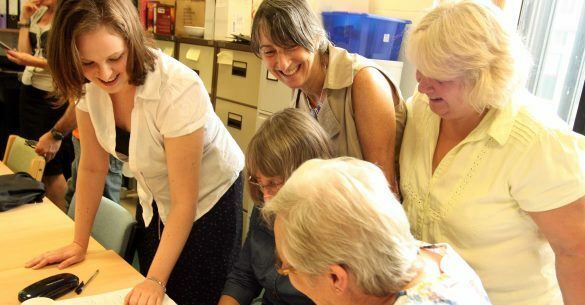 Wessex Voices have published a report following their recent event. The West of England Academic Health Science Network (AHSN) has been chosen as one of three AHSNs across the country to lead the next phase of the Health Foundation’s exciting Q initiative, which will create opportunities for greater collaborative working. Bristol Community Health are excited to report the link for the Healthcare Change Makers is now live. We are delighted to be able to announce that Martin Gregg, has agreed to take on the role of public contributor co-chair for People in Health West of England. Martin will be sharing this role with Julie Hapeshi, our professional co-chair. 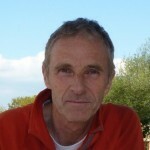 Martin is a lay member of South Gloucestershire Clinical Commissioning Group (CCG) with specific responsibility for Patient and Public Involvement and Equalities. We are all looking forward to working with Martin in his new role as co-chair. 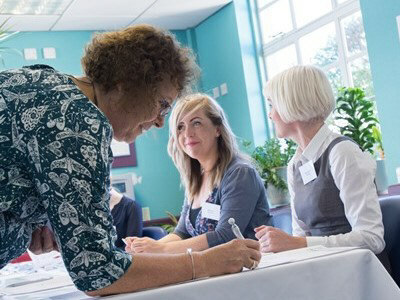 Bristol Community Health, University Hospitals Bristol NHS Foundation Trust and North Bristol NHS Trust are working in collaboration with NHS England and People in Health West of England to deliver an innovative Patient and Community Leadership programme in Bristol. The programme will be co-designed and co-delivered by Mark Doughty, Director at the Centre for Patient Leadership and Kings Fund Associate. The outcome of the programme is to develop a group of patient and community leaders who will use their confidence, knowledge, skills and experiences to work collaboratively with health care leaders as partners for positive change and improvement. We are seeking a Project Co-ordinator on a freelance, fixed-term basis to actively support the planning and delivery of the programme. We are seeking someone who is inspired by people and communities, ensuring their voice changes health services for the better. Working closely with a small steering group of staff from the partner organisations, your exciting role will ensure energised participation in the programme from across the city and you will act as the central point of contact for programme participants and operational elements of the programme. We are looking for a highly organised and dynamic person who will deliver on a varied workload; to make positive contact with and provide ongoing support to programme participants. Working with the programme partners and other stakeholders to encourage collaboration to enable a successful programme to be delivered; engaging new and diverse communities as participants in what we see as an innovative approach to engagement in the local health service. If you believe that local citizens can shape the future of the health service in the area, we’d love to hear from you. Closing date: Midday on Sunday 31st July. Appointment will be made after a process of shortlisting and interview. Interviews will be held week commencing 8 August 2016. Please note that we will not be able to offer feedback on applications to candidates who have not been shortlisted. An exciting opportunity has opened at the West of England AHSN to join the Enterprise team on a 12 month secondment to cover maternity leave. 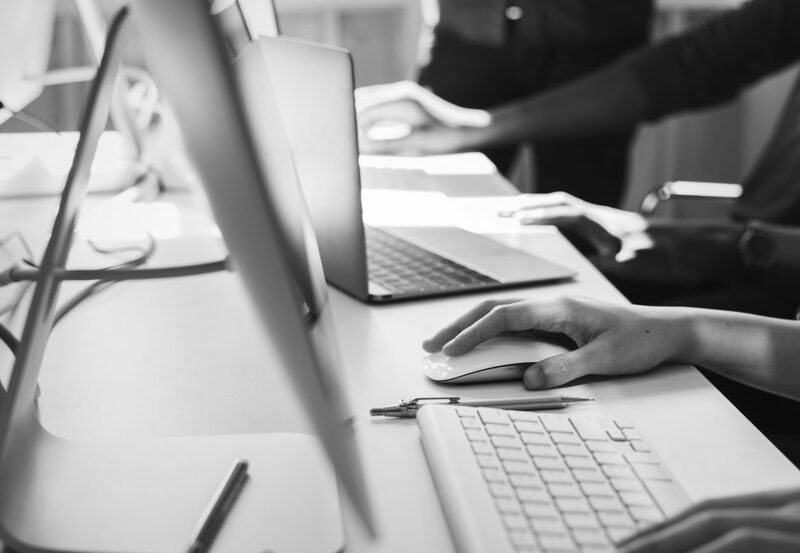 The role is for an Enterprise Engagement Co-ordinator, who will be the link person between businesses, the public, healthcare and voluntary sectors and we would like the successful applicant to start in July. Please see the job description and person specification below. The West of England AHSN has its main base in the centre of Bristol. Closing date for application is 9 am Monday 4th July 2016. We may close this call for applications earlier if we receive a lot of interest. All applicants should have the support of your organisation before they apply. 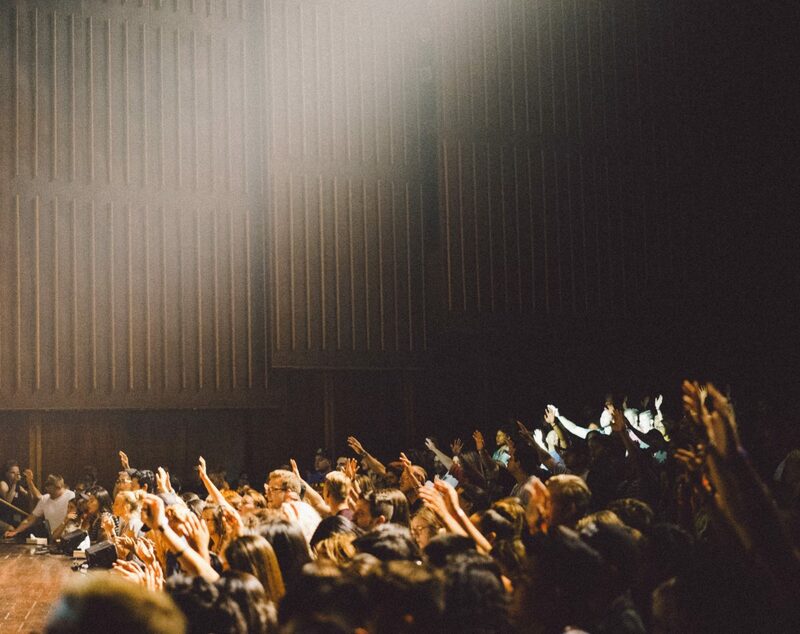 The Health Research Authority and INVOLVE have published new evidence on how public involvement can help make research more ethical and produce better outcomes. The National Institute for Health Research (NIHR) has recently published a report on Why and how to develop PPI Standards and a report on ‘The public as our partners: Highlights from 2015/16’. This short video from the Centre for Academic Primary Care at the University of Bristol is a good example of how research has revealed the miscommunication between patients and GPs. We are delighted to be able to announce that Julie Hapeshi, has agreed to take on the role of co-chair for People in Health West of England. Julie will be sharing this role with Cathy Rice, our public contributor co-chair. Julie brings to the role a wealth of experience and insights. 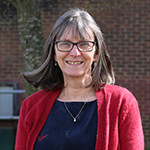 She is Deputy Director of the Research Design Service (RDS) and of Research & Development at Gloucester Hospitals Trust and a founding member of PHWE. In addition, her RDS role links Julie to the new INVOLVE team. We are all looking forward to working with Julie in her new role as co-chair. The Support and Treatment After joint Replacement (STAR) research project team shows how patient involvement (not only participation) has been embedded into a research project and how it made a difference. I was reminded how the development of a truly patient and people led health service takes time at the People in Health West of England Awayday in November. During an exercise reflecting on our achievements over the past year, we realised that the idea for a joint PPI initiative was first mooted in 2008, seven years ago. 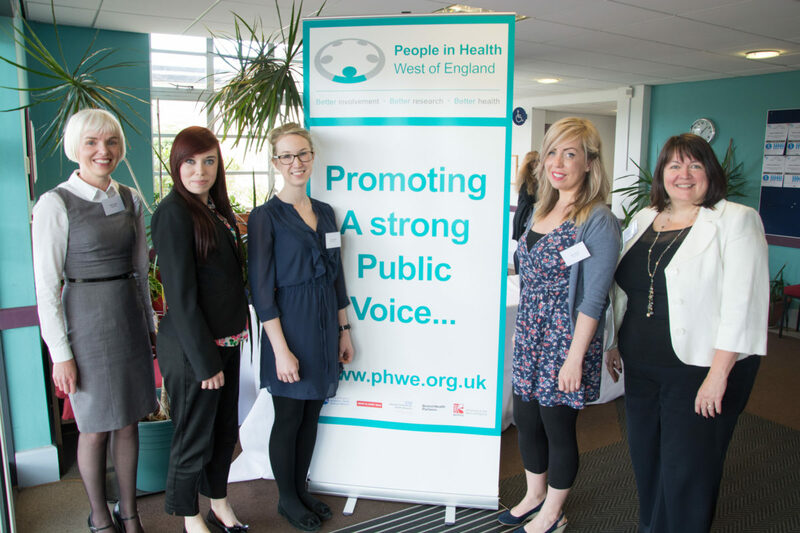 This evolved first into People & Research West of England, before being re-launched as People in Health West of England (PHWE) in 2014. Throughout this time the network has been chaired by Nicky Williams, Deputy Director of Research, North Bristol NHS Trust. Nicky is now leaving us to take on the post of National Director of Support & Delivery for Health And Social Care Research for Wales. Another event a week earlier also reminded me that the development of good public involvement takes time. At a panel discussion on cities, health, people and leadership at the Festival of the Future City last week, Professor David Evans pointed out that INVOLVE is now 20 years old. INVOLVE is funded by the National Institute for Health Research (NIHR) and was established 20 years ago in 1996 to support public involvement in the NHS, public health and social care research. It is now well established as the key body to drive forward and support good practice in public involvement in research, providing the benchmark for other areas of health and social care. In the context of an NHS that has gone through several major structural changes in the past few years, this consistency is a major achievement. Progress reports for many initiatives within the National Institute for Health Research (NIHR) include a summary of progress in implementing patient and public involvement and engagement (PPIE). This year, those summaries have been extracted and made publicly available. The Central Commissioning Facility (CCF) of the NIHR welcomes feedback on these reports. For example, it would be helpful to them to know who is reading them, whether readers find them informative and useful, and how they could be improved. Please email your comments or contact the CCF patient and public involvement (PPI) team. If you are a member of the public and would prefer a paper copy, please contact the CCF PPI team. Bristol Health Partners invites you to their new website, with lots more information on Bristol’s health research. If you have any comments, please email Zoe Trinder-Widdess, Communications Manager, Bristol Health Partners and CLAHRC West. The Elizabeth Blackwell Institute (EBI) welcomes Georgia Bladon, their new Public Engagement Associate. Her role includes managing the EBI public engagement activities, including its Public Advisory Group, and providing support for researchers across Bristol University in developing public engagement as part of their research or grant applications. INVOLVE has sent a reminder that, if you work for/with the National Institute for Health Research (NIHR), it’s important that you offer access to the free and confidential Benefits Advice Service to all those undertaking paid involvement with your organisation. Expert guidance from the Benefits Advice Service can support anyone involved with any NIHR organisation or NIHR-funded study (or subscribing partner organisation). have already received payment but are concerned about declaring it to benefits agencies. The advice is free, confidential, informed by the latest regulations and personalised (the advice is specific to the individual’s circumstances). Please ask anyone wishing to access the service to email benefits@invo.org.uk or to phone on: 02380 651088. We are delighted with all the positive feedback from our annual conference Progress and Practice in Involvement 2015, held on 3rd June. Nearly 100 people attended, a quarter of whom were members of the public. Most people who completed an evaluation form rated the day overall as good or excellent. The People in Health West of England team would like to say a big ‘thank you’ to everyone who helped us make this a successful day by running sessions, coming along and helping us organise the event. The Nuffield Council on Bioethics has published a report on how children and young people can ethically be involved in research. The report makes recommendations about the roles and responsibilities of children, their parents or guardians, researchers and others. A magazine version and a short animation film are also available. 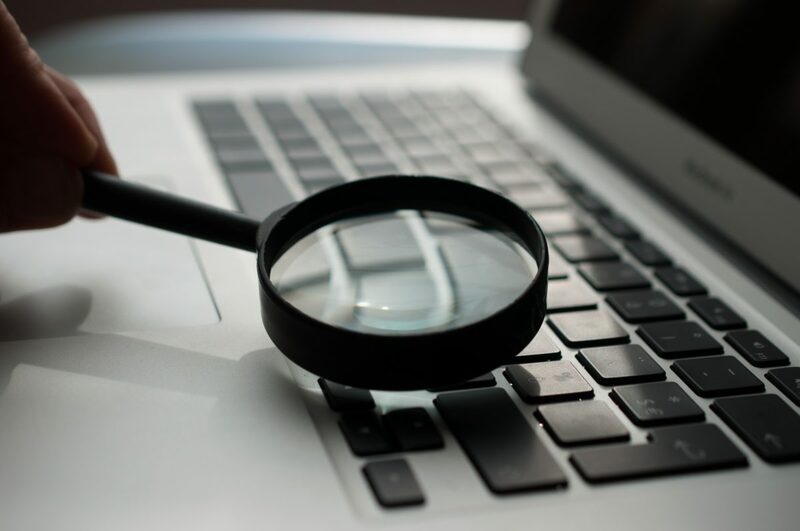 The West of England Academic Health Science Network Funding Finder provides a monthly up–to-date of funding opportunities for health innovation. Our public involvement facilitator Mike Bell started work with the People in Health West of England Patient & Public Involvement (PPI) Team last week. This post is funded by Bristol Health Partners to support facilitation of involvement in Health Integration Teams. Mike’s most recent experiences include health complaints advocacy and working with disabled students to increase the numbers applying to higher education. He will initially be concentrating on building up our work with children and young people. The University of the West of England has appointed Andy Gibson as Associate Professor PPI to start at the end of April 2015. Andy has led the innovative development of patient and public involvement (PPI) in the Collaboration for Leadership in Applied Health Research and Care (CLAHRC) South West Peninsula (PenCLAHRC) over the last five years. During this time he has spearheaded the involvement of patients and the wider public in generating ideas for research projects to be taken forward by PenCLAHRC. Andy will work closely with the West of England Joint PPI team and we are looking forward to benefiting from his insights and experiences. Are you interested in how emergency care is delivered in Bristol, North Somerset and South Gloucestershire?